If you’ve ever watched a baby drool, fuss, and cry, you know that they think about their teeth just as much as adults do, if not more. What you might not know is how, exactly, to care for those emerging teeth. Don’t worry; you’re not alone. The fact is that many parents, although they mean well, aren’t exactly sure how to address baby teeth. Once the first tooth pops into the mouth, most parents start wondering how to care for their baby’s mouths. Is now the time to begin brushing teeth? When do babies begin to lose their teeth? Should kids ever use mouthwash? The questions go on and on. Although baby teeth are small, they’re critically important. In addition to preparing the mouth for the presence of adult teeth, baby teeth are what allow your child to chew his or her food, and get a taste of the world, literally. Without healthy baby teeth, your baby may find chewing difficult, and may have trouble learning to speak. Because of this, learning how to care for and clean baby teeth is essential. Here’s your complete guide to doing just that. According to the American Dental Association, baby teeth are some of the most essential elements of a child’s development. At the time of birth, a baby’s 20 primary teeth are already present in the jawbone, and they emerge through the gums as the child gets older. 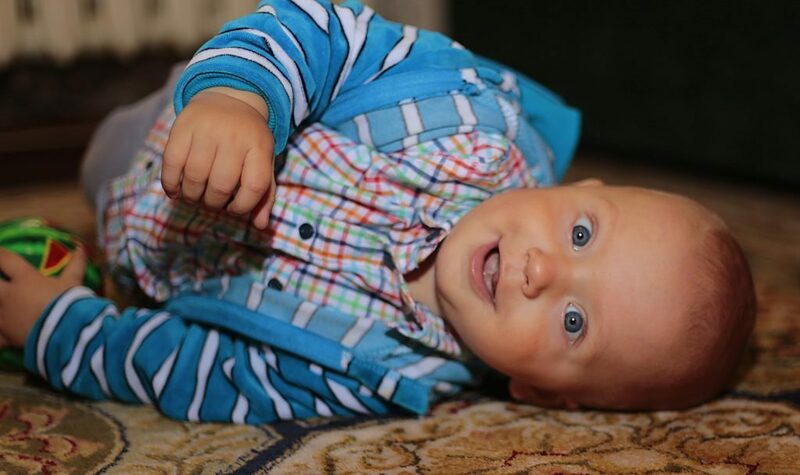 Typically, teeth begin to appear when a baby is between 6 months and one year old. For most children, the primary set of 20 teeth is fully in place by the age of 3. Although every child is different, the first teeth to come in are usually the ones located at the front and bottom of the mouth. 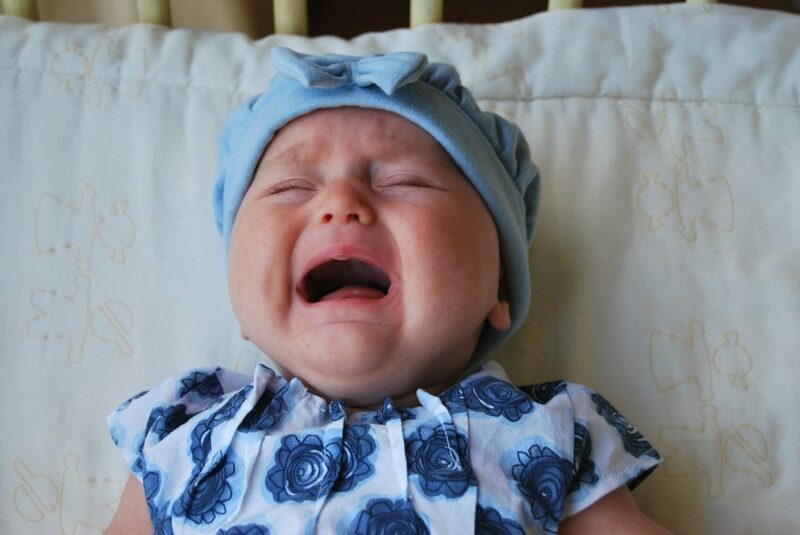 During teething, it’s common for babies to have sore, tender gums that may bleed slightly. This can be very painful for babies and cause much of the teething-related fussiness parents are familiar with. After the period of teething comes a period when children start to lose their baby teeth in favor of the adult teeth that will eventually fill their mouths. While this is normal, it’s essential to ensure the process isn’t happening too fast. The reason is this: If babies lose their baby teeth too early, their permanent teeth can drift into that space, creating spacing issues and misalignment down the road. This leads to a crooked and crowded mouth and may put the child at risk for braces or intensive dental work later in life. Because of this, most dentists recommend that children start getting dental check-ups during their “well baby” visits. In addition to checking for cavities and other dental problems, a pediatric dentist can show you how to clean a child’s teeth and handle potentially damaging habits like thumb-sucking or extended pacifier use. Wondering how to care for those sweet little teeth in your baby’s mouth? Here are three tips to get you started. Start cleaning your baby’s mouth in the immediate postpartum period. Using a clean, moist washcloth, wipe the baby’s gums after it nurses or eats. While many parents think that the immediate postpartum period is too early to start dental care, it’s critical to remember that decay can occur as soon as teeth begin to appear. For most babies, teeth begin to push through the gums around six months of age, although it can take from 12 to 14 months for some children. Getting a jump-start on dental hygiene will help reduce the risk, and give your child a leg-up on dental health. Start brushing teeth as soon as they enter the mouth. If your child is three years of age or younger, start brushing the child’s teeth as soon as they appear in the mouth. Use a fluoride toothpaste and remote that is appropriate for the size of the child, brush the teeth thoroughly twice daily, or as directed by your pediatric dentist or doctor. Once your child is old enough to brush his or her teeth on their own, supervise the brushing process to ensure your child is using the right amount of toothpaste and that they are not swallowing the paste. Encourage swishing with mouthwash. Swishing with mouthwash is a good habit for children to develop early. In addition to banishing bacteria from the mouth, swishing with mouthwash also keeps the gums and tongue clean. While mouthwash is not appropriate for babies, it can be fun for older children. Just make sure that you are supervising the child, so they don’t swallow the mouthwash. In most cases, it takes about two years for a baby’s infant teeth to come through the child’s gums and into the mouth. The process by which each tooth emerges is known as “teething,” and can be a difficult time for both parents and babies. Teething rings. Head to the store and pick up some baby-specific teething rings. Stick them in the freezer and give them to your baby to chew on. As a general rule, you should avoid giving your child anything that’s small enough for them to chew on, or any teething rings with liquid inside, as these can break and drain into your baby’s mouth. Gum rubbing. Using a clean finger, applying gentle pressure to your baby’s gums, rubbing if it seems like that feels good for the child. This can help relieve some of the pain associated with teething and provide some temporary numbing for your baby’s gums. Pain relief. Topical pain relievers meant for babies can be purchased over-the-counter at any drugstore and applied at home. The only thing to be sure of is that you’re avoiding products that contain benzocaine, as the FDA has stated that these products can cause dangerous, potentially life-threatening side effects. Instead, talk to your pediatrician about how to give your baby Tylenol (acetaminophen) to reduce pain. As soon as children have teeth, they can also have cavities. With this in mind, take active steps to prevent them. The best line of defense against cavities is to be sure that you’re filling your child’s bottle with things they’re supposed to be drinking. This is generally limited to formula, breast milk, or water. Never fill a child’s bottle with fruit juices, soda, or other sugary substances, as it can settle on the child’s teeth during drinking, or if the child falls asleep with the bottle in his or her mouth. Caring for your child’s new teeth is easier when you have a trusted partner. If you’re interested in learning more about our pediatric dental services or making an appointment for your child, contact our team today.